The advancement of women in the field of insurance is happening, but it’s not occurring across the board, according to an executive who’s been in the industry for close to 20 years. “There’s been progress in pockets – in pockets of the insurance vertical, in pockets of the country, in different functional units within insurance, like operations, underwriting, and marketing,” said Rekha Schipper, president of Tangram Insurance Services and a speaker at the upcoming Women in Insurance event in Los Angeles, with additional stops in Chicago, New York and Houston. Certain areas of the industry still feel grim, added Schipper, but we should acknowledge the accomplishments that have been reached so far. “There is a lot of work to be done, but I think we can stop for a second, enjoy the view and keep going, knowing that there are more women that are moving into important senior positions outside of just traditional human resources and marketing, and that’s happening on every level, whether it’s MGUs, whether it’s insurance companies, whether it’s brokers,” Schipper said. In larger carrier organizations especially, C-suites continue to be dominated by men, said the Tangram president, while more traditional service staff roles are populated with women, though Schipper is herself evidence that a movement to diversify boardrooms and corner offices is underway. 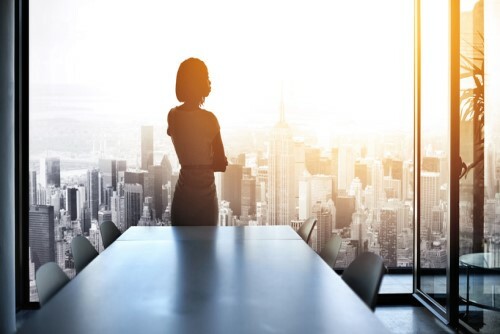 As other women make their way into positions of influence, they have the power to change the industry from within and affect the complexion of senior leadership. To ensure that change is here to stay and guarantee it will continue into the future, younger women in college, as well as new graduates, need to see the value in the insurance industry. Schipper added that she hopes the Women in Insurance event will inspire women to make a move that could put them on a path to success in the industry. Rekha Schipper is the chairperson for Women in Insurance Los Angeles on October 11. For more details and to register, click here.